A remake of the original Travel Chair, the Aluminum Larry Chair is the ultimate seating compliment to the Adios, Amigo or, the Chupacabra. Elevating the Paddler 10" off the deck, it gives a more comfortable ride and ease for going to the standing position. 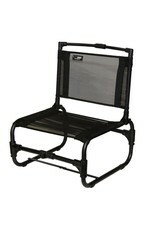 The 4 quick release buckles with webbing allow the chair to sit firmly into the seat area when connected to the padeyes. 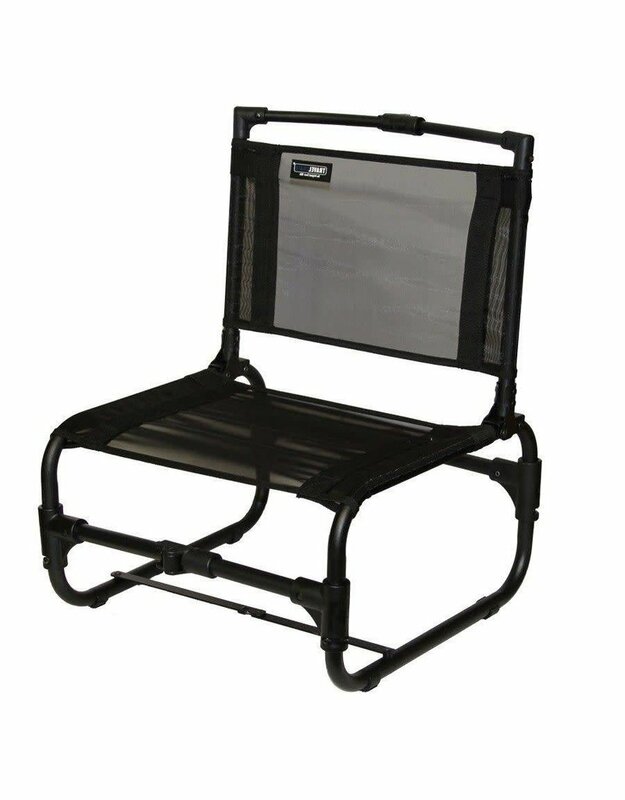 When not in use, it folds down and stores in the front or back of the boat, and you'll always have a seat around the campfire at the end of the day.